As readers of my stuff will notice, I write quite a lot of reviews. For the most part, my reviews have been positive -which isn’t surprising since nearly everything I write about I’ve bought and I try not to make too many stupidly bad buying decisions – but usually I can find fault in some small area and, especially with the expensive stuff, I can get more than a bit picky at times. 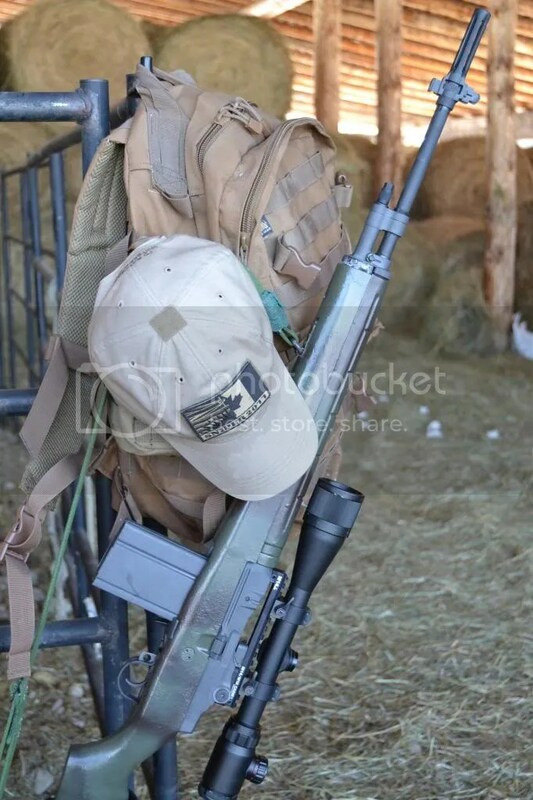 Over the years I’ve been in and out of the M14 type of rifle having gone back and forth on whether these rifles are worth some of the problems they present to their owners – let me explain: I think the M14 platform to be a good (maybe it is a great) weapons system but it simply wasn’t a design priority to figure out an ideal way for the rifle to be fitted with optics. This challenge of mounting an optic shouldn’t come as a surprise as in the late 1940’s and the 1950’s attaching optics to every main battle rifle wasn’t considered viable or, perhaps, even desirable. 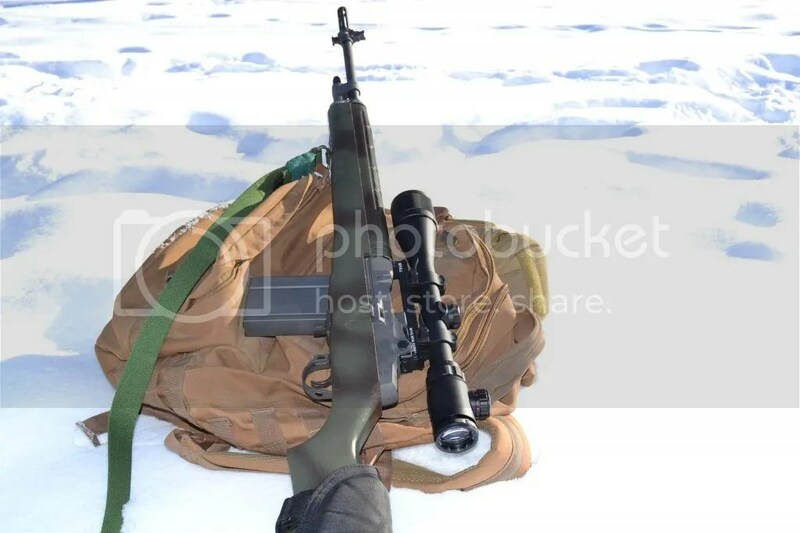 Scope mounting challenges usually give a reviewer an opportunity to be critical and over the years I have tried – with varying degrees of success – to put a scope on the M14 and, yes, I’ve fully taken advantage of the opportunity to be negative. By way of recap, I’ve used: NcStar ( junk), Springfield Armory Inc Gen III (expensive junk), ARMS 18 ( good until you jam a piece of brass between op-rod and mount ), and Sadlak Aluminum ( overall this was very good but not cheap at all and I found it to be finiky to install properly). 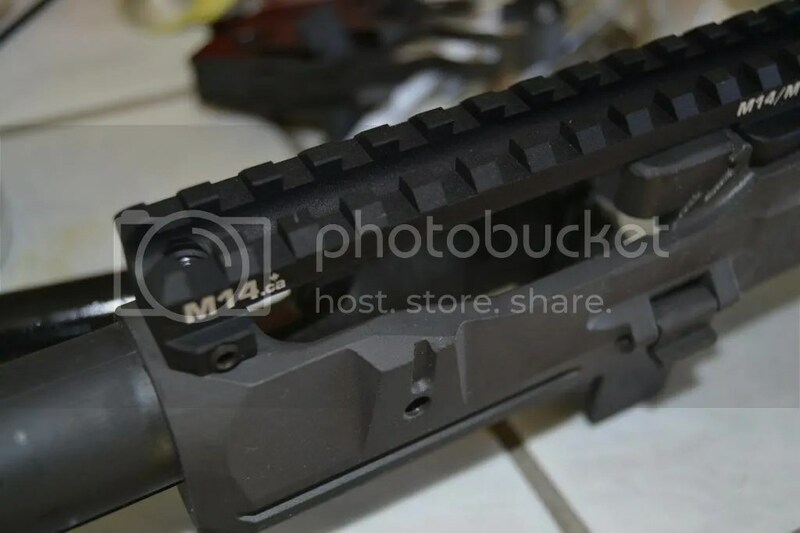 In each case, even after beating out the stripper clip guide and wrestling with ( the sometimes) out of spec problems the problem of holding zero – or rather NOT holding zero – arises with most M14 scope mounts so, this time, I decided to forget the usual “stripper clip guide and hole in receiver wall” method and go with M14.ca’s CASM mount which I’d not seen but had read about. 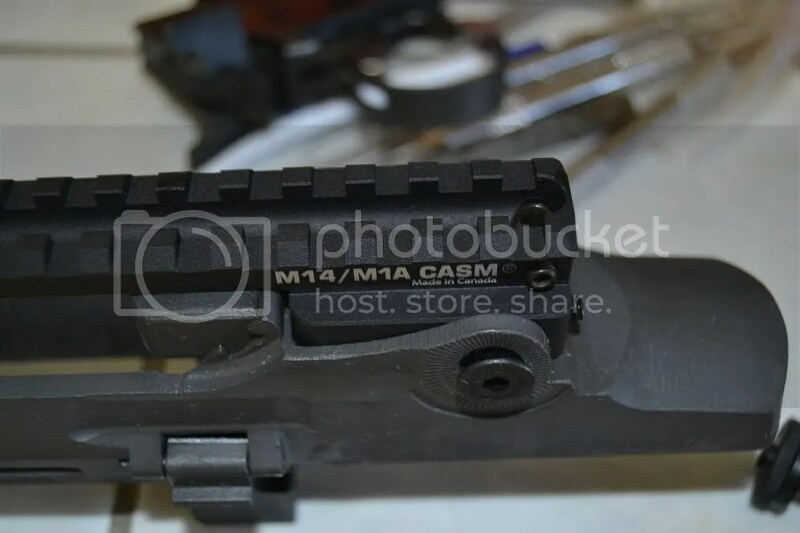 The feature that sets CASM apart from other M14 mounts is that it uses the rear sight pocket and is affixed through the sight ears of the receiver which seems to me to be an inherently more stable way of going about things. 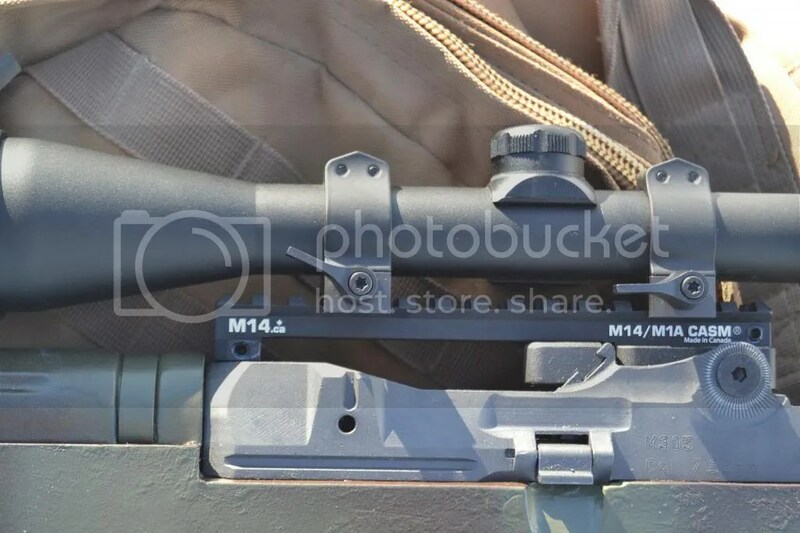 The only problem as I see it though is that you will lose your rear sights – no big deal with a Norico but a consideration if you have nice USGI or NM sights on your M14 / M1A etc. 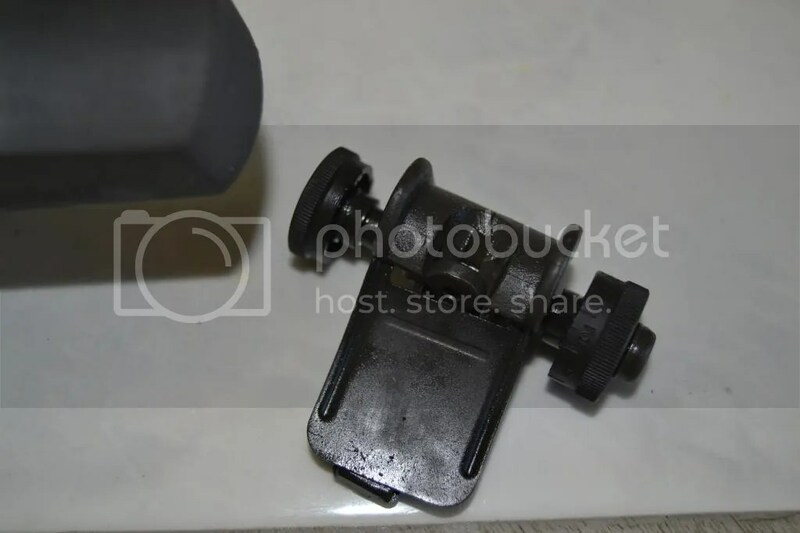 The folks at M14.ca have thoughtfully provided a back up peep sight as part of the CASM which means if your scope fails on you all isn’t lost as a range day or hunt isn’t totally ruined. While I’d never dealt with M14.ca before, I phoned up and placed an order and let me say this: Dealing with Frank is a model of how dealers ought to be with customers. I’m only ordering a small item worth less than a couple of hundred bucks but the service was amongst the best ever ( and better than many places where I’ve been making a multi-thousand dollar purchase ! ). Frank talked about his product, took my details and emailed a follow-up re shipping – which, incidentally, was super fast – and two days later I had a little white box containing the CASM in my hands ready to mount. To say that installing the CASM was easy would be an understatement – seriously, if you can mount a scope you can install this on your M1A/M305 etc receiver BUT please read the instructions ! Frank has included some very detailed and easy to understand instructions that really have to be followed – especially with respect to the tightening down on the front screw. Once instructions are followed to the letter this installation is child’s play. What a welcome relief from the other mounts I have tried. “But it is aluminum” the purists cry. True, it is aluminum but it is 7075 series aluminum which I figure to be more than sufficient for my needs – but, for those that insist on something stouter, a steel version is available. I mentioned how easy CASM is to install and the way it works but forgot to mention that, in total, there are eight screws that hold this thing in place and, as a bonus, a spare set found their way into my package just in case any of those eight screws went walkabout on my bench. Establishing a zero and shooting through 40 rounds resulted in no problems and no loss of zero. Now I know this isn’t the same as shooting hundreds of rounds over repeat outings but it certainly gave me a sense that this mount was solid and wasn’t coming loose anytime soon. I have to say that over the past few months this mount has held up fabulously and I’m firmly of the view that other than the simply awesome M25 receiver offered by LRB, the CASM is the very best way to mount a scope on a M14 type rifle.